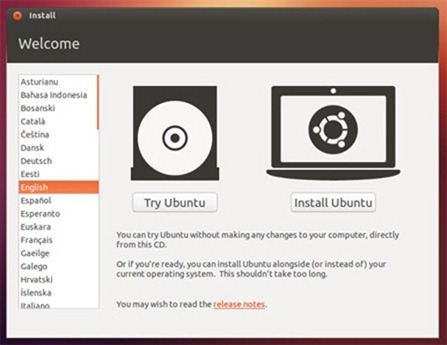 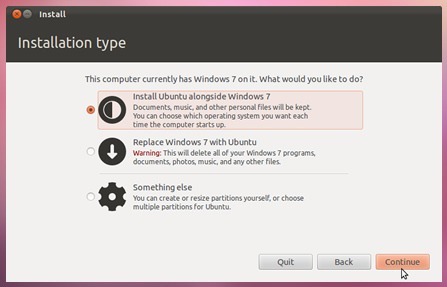 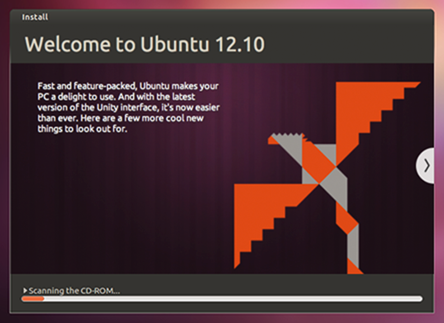 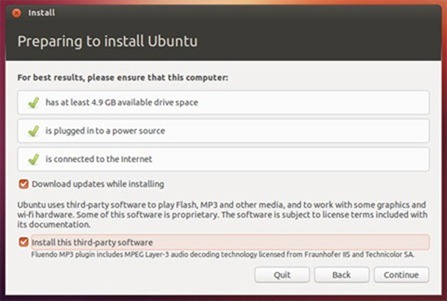 If you are installing Ubuntu on a laptop device, is recommended that you plug into a power source. Be sure to make a backup if you are running other OS in your computer and have enough space. 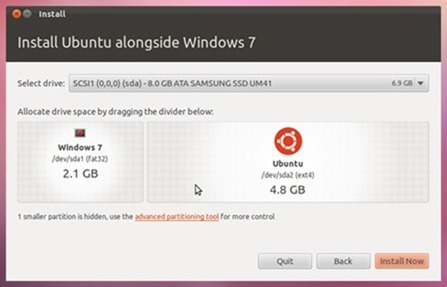 You need at least 4.5 for OS and few extra GB for your files. 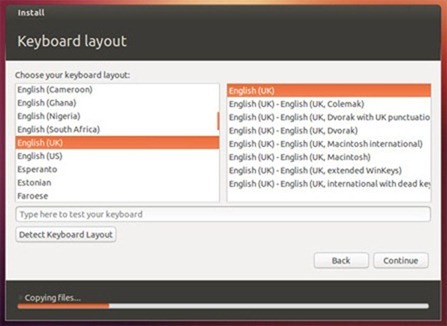 If you are connected to the internet, this should be done automatically. Check your location is correct and click Forward to proceed. 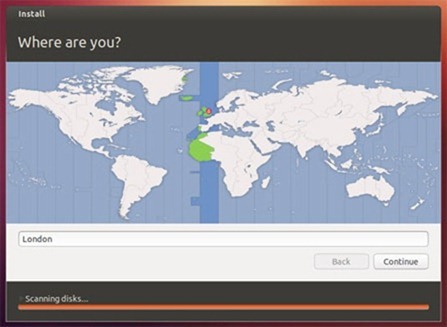 If you’re unsure of your time zone, type the name of the town you’re in or click on the map and we’ll help you find it. 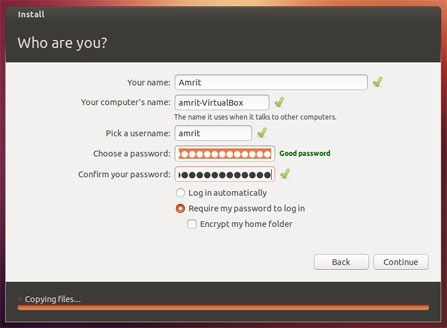 Enter your login and password details.